With the season's lid-lifter just a day away, we have a trio of videos from GoTerriers.com and much more. Tomorrow, look for Game Day information for the 7:30 p.m. game against Union, including game notes, live stats and a link to the live stream. New England Hockey Journal’s look at three second-year players coming off strong freshman seasons begins with dynamic Terrier wing Patrick Harper. The New Canaan, Conn., native’s 37 points in 28 games earned him a spot on the HockeyEast All-Rookie team. 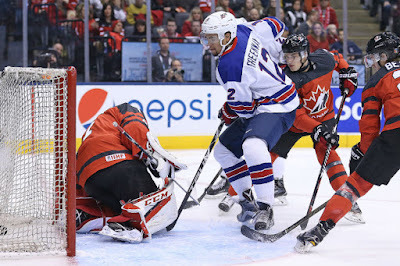 Jordan Greenway is ranked high on SB Nation’s List of NCAA players likely to earn a spot on the U.S. Olympic ice hockey team for the 2018 Games in South Korea. ►If you missed yesterday's Daily Free Press annual hockey preview issue, it's all right here. 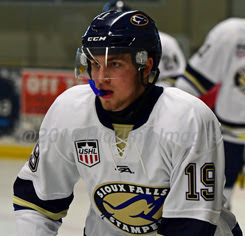 2018 or 2019 recruit Matt Quercia’s second goal of the pre-season was the game-winner in Sioux Falls 5-3 win against Green Bay. 2019 recruit Robert Mastrosimone tallied his first USHL point as Chicago defeated Waterloo, 4-1. The speedy forward from East Islip, N.Y., scored 155 points in 102 games with Shattuck St. Mary’s during the past two seasons. 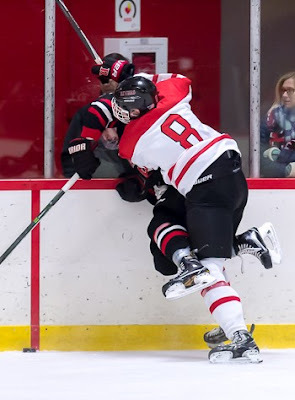 2019 recruit Braden Doyle and 2020 recruits Cade Webber (photo #8) and Liam Connors are teammates this Fall on the Little Bruins 18Us, playing in the Massachusetts Tier 1 Selects league. 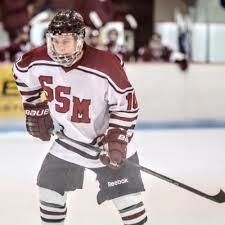 Once the prep season begins, they’ll be opponents with blueliner Doyle skating for Lawrence Academy, right wing Connors at St. Sebastian’s (along with fellow 2020 recruit Drew Commesso) and 6'4" defender Webber returning to The Rivers School, coached by Terrier All-American, NHLer and U.S. Olympian Shawn McEachern. It’s difficult to watch Arizona Coyotes rookie Clayton Keller and not wonder if he could be another Patrick Kane and do for the Coyotes what Kane does for the Chicago Blackhawks…He creates offense by darting in and out of traffic, much like Kane does. Five of Allen’s top six are NCAA products.